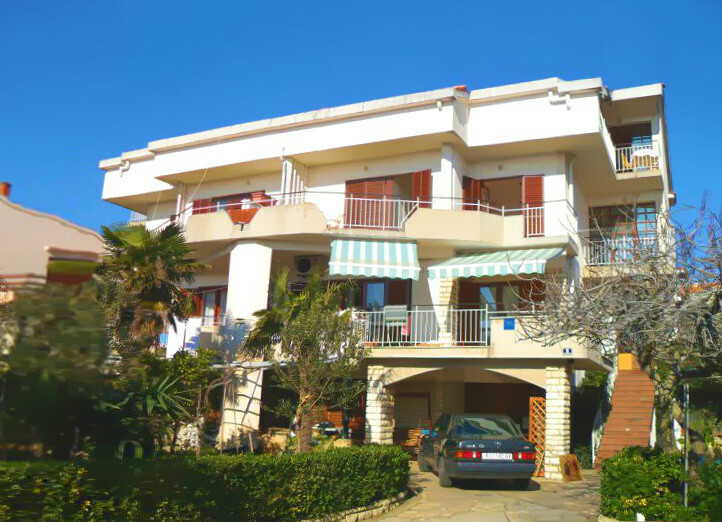 The house is located near the center and all facilities and the town beach. The building has a large garden with parking for each apartment and views of the sea. We offer 5 apartments of various sizes, for 2-5 persons. N +44° 33' 31" | E +14° 52' 59"